This article summarizes the data center products that Lenovo announced in the month of September 2018. Lenovo ThinkAgile MX Certified Nodes are designed for deploying highly available, highly scalable software-defined storage from Microsoft on Lenovo enterprise platforms. The ThinkAgile MX Certified Nodes deliver fully validated and integrated Lenovo hardware and firmware that is certified with Microsoft Storage Spaces Direct (S2D) software. At Lenovo’s Transform 2.0 conference, Lenovo and NetApp announced a global multi-faceted partnership to bring innovative technology and a simplified experience to help customers modernize IT and accelerate their digital transformation. The ThinkSystem DM Series Unified and DE Series SAN Hybrid and All Flash Storage Arrays are the first solutions from this partnership. 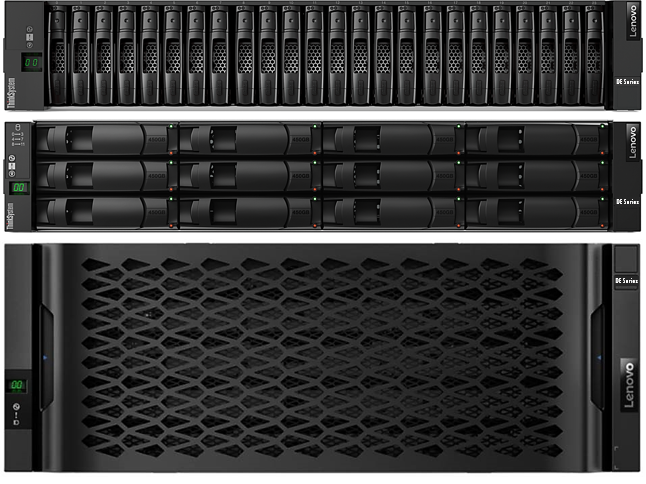 Lenovo ThinkAgile HX Series appliances combine industry-leading hyperconvergence software from Nutanix with Lenovo enterprise platforms that feature Intel Xeon Processor Scalable family. Just announced are an appliance and a certified node, based on the ThinkSystem SR950 hardware platform. Certified nodes deliver fully validated and integrated Lenovo hardware and firmware, certified and preloaded with Nutanix software. This month, we announced the ThinkSystem SR670, a new 2U two-socket rack server with support for four high-performance GPUs. The server is ideal for running AI, HPC, and VDI workloads. Micron self-encrypting drive (SED) that adhere to the FIPS 140-2 cryptographic standard. Available as a 480GB drive. Samsung drives for high-capacity read-intensive storage applications; capacities 3.84TB and 7.68TB. Larger 15TB and 30TB drives also available via special bid. Microsoft® is a trademark of Microsoft Corporation in the United States, other countries, or both.